In films, the grand long shots of iconic structures are used to establish the location (geography), the socio economic status and mood of the script. Shooting these clichéd structures or edifices to establish the location becomes a necessity for the cinematographer to reveal the setting. For he or she has to quickly tap into the collective sub conscious memory of the audience and yet make them appreciate his or her, unique artistic take on the cliché. So how did this collective memory come into being? 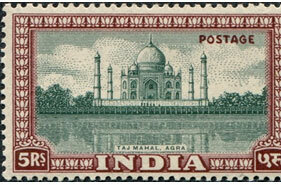 Initially, countries introduced postage stamps as a way to display their country’s culture and heritage. These images spread far and wide, long before the Internet and Google. To reproduce an image in two-tone, it had to be simple and symmetrical, yet compositionally strong to make an impact even in a flat perspective. 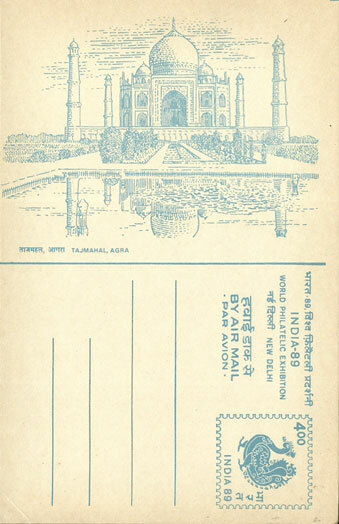 Subsequently, another form that had a great influence was a post-card of tourist destinations – which were initially hand drawn, then lithography and eventually color photographs. These stamps and post-cards were mostly symmetrical (balanced and proportionate) images and they contributed immensely into creating a sense of déjà- vu and invoking a feeling like, “I have seen this before!” when we see these sites in real life. So what’s the symbol of India? Why were the grand temples of the South or the Jama Masjid in Old Delhi or the bathing Ghats of Varanasi or the Forts or Rajasthan, not seen as symbols of India? Emperor Shah Jahan built the mausoleum for his beloved, Mumtaz Mahal next to the river Yamuna, using enormous amounts of money and manpower. 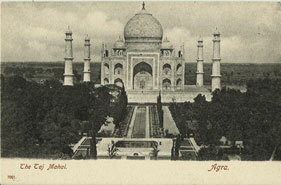 The Taj Mahal today is considered as the crowning glory of Mughal aesthetics. The integration of the Persian and Indian architectural traditions also reflects the synchronistic nature of Indian society. 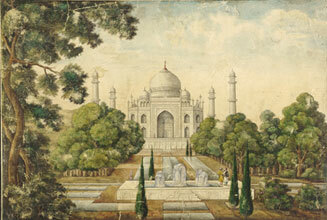 The Taj Mahal, was not merely seen as a Mausoleum, but as a grand symbol of love and longing. Its rigid geometry and symmetry is timeless and universal. 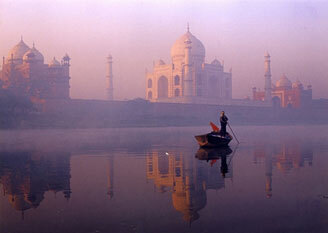 From a Colonial Orientalist perspective, the Taj Mahal symbolizes the Romantic east. 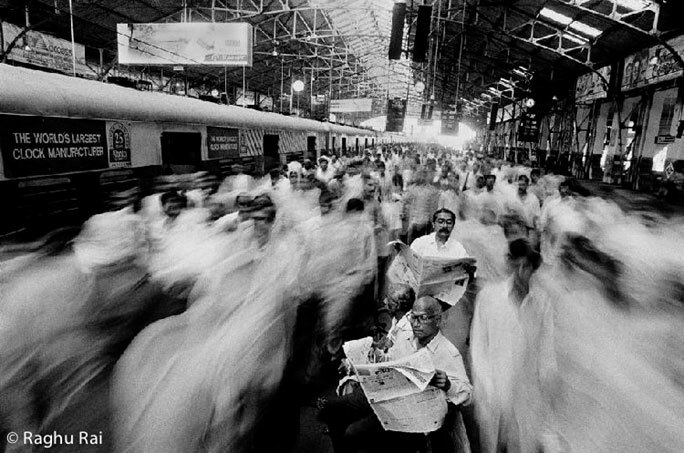 However, when it comes to depicting contemporary India, we normally see shots of Mumbai, be it the chaos of the suburban railway station or the squalor of Dharavi contrasting with the high rise buildings that dot the Marine Drive. Thus, symmetry and grandeur were tools to show the past glory and chaos and entropy is being used to show the present. This is why engineering achievement of the sea link -The Rajiv Gandhi Bridge from Bandra to Worli is not yet the symbol of Mumbai for the Westerner but The Gateway of India, a relic of the British Raj is still seen as a symbol of old Bombay. For instance, even in “The Slumdog Millionaire”, which is predominantly set in the slums of Mumbai, an entire sequence saunters back to the Taj Mahal to anchor the viewers’ collective experience rooted to the aforementioned symbol of India. As a cinematographer, you have to study the other cinematographers’ work and make sure you don’t repeat those frames. You got be a film buff, for you may think you have taken a great shot but it may have already come in some other film, thereby resulting in the comment, “The cinematographer’s work is pretty, but not path breaking”. 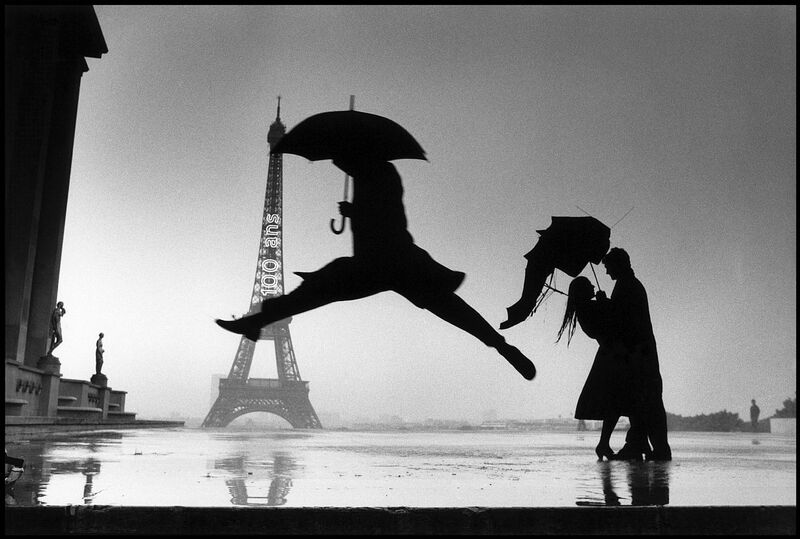 Therefore it becomes imperative to study the way these famous structures have been depicted in other mediums. I usually start by studying the work of great photojournalists or paintings and see patterns and opportunities that the location has offered in the past, in various time periods and weather conditions. 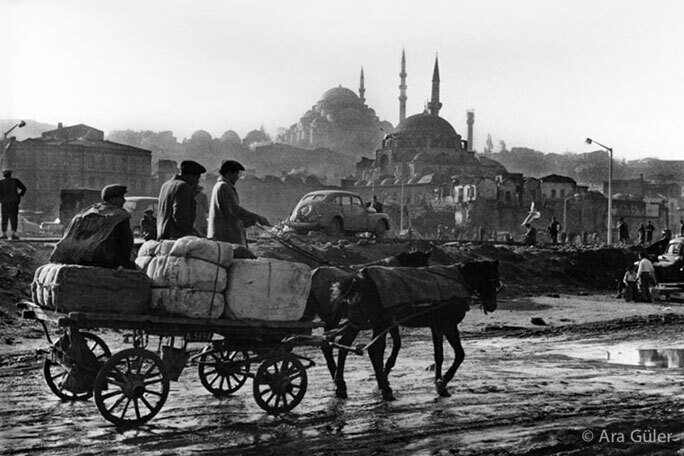 I studied the work of Ara Güler, the great Turkish photographer before I shot ‘Guru’ in Istanbul. 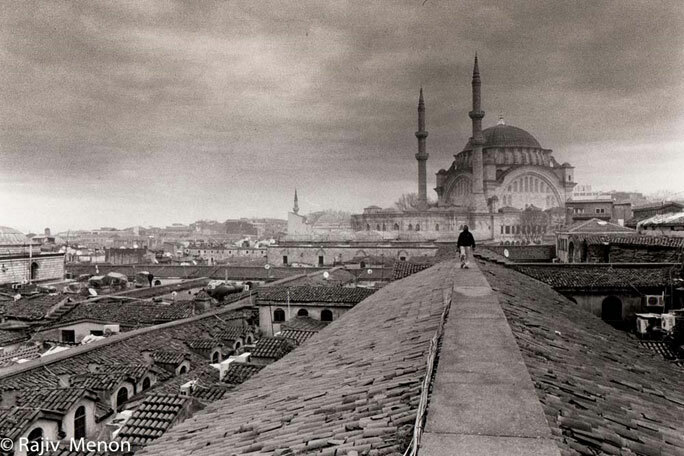 What I’ve noticed is that in Turkey, the skyline is broken by domes and minarets whereas in rural India, trees break the skyline. So how does one shoot the Taj Mahal and get a great shot? I feel stupid that I have not shot the Taj Mahal nor have I visited it. However I imagine what it would be to shoot it. From the front, the Taj Mahal displays its horizontal and vertical symmetry and the reflection of the minarets and dome on the water feature and the manicured gardens together contribute to grandness of the edifice. But from behind, especially in winter light, the backside of the Taj looks completely different with the subtle play of reflection and the placid waters of the Jamuna. It looks more organic and lonely. The rigid geometry gives way to a more relaxed composition. The need to create asymmetry and open composition needs to be explored; also the use of wide angles and abstraction with telephoto could be great. 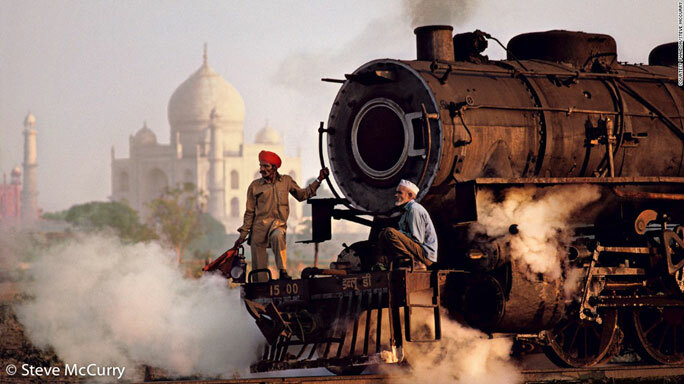 My favourite shot of the Taj Mahal is by Steve McCurry, of the Taj and the steam engine. 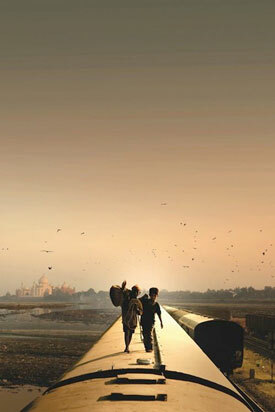 The picture has a strong foreground but our eyes also wander to the majestic Taj in the background. It kind of tells you about the present; the black steam engine being symbolic of the Industrial revolution and the milky minarets and majestic dome of the Imperial past of Agra. 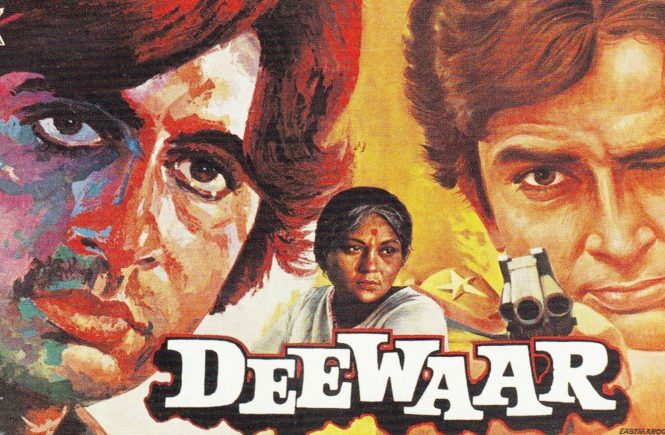 The image; with the gushing steam smoke that is lit by golden evening sun and the red turban of the railway guard, who seems to taming the Monster; is so unusual and fresh that it has become a modern classic. So what are your favourite shots of famous locations? Do you have a few that you would like to share? Come join the discussion! Very very useful information ,thank you very much. Thank you for sharing this wonderful article with us. All the paragraphs are very informative. All the pictures perfectly go with the article. Thank you again for this article. I also recommend people to visit my site as well.